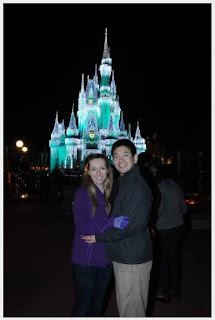 To celebrate New Year 2013, my dear wife and I spent an amazing – yes – magical New Year at Walt Disney World. In fact, we spent nearly a full week at Disney World in a very much needed, long awaited vacation. During this vacation, I observed some incredible business practices of the Walt Disney Company, and, further gleaned some insider information from my wife who is a former Disneyland Cast Member. This blog post stems from curiosities from a business perspective, “what makes Disney so Disney?” Of course, this question has been discussed many times over. What struck my interest was the realization that powerful lessons from Disney’s business practices can be applied to strengthen Physical Therapy practice at large. Before I truly begin this post, I want to make two things very clear. First, among the many things I love in life, Disney ranks near the very top – so – if I appear to be a little distracted in my thoughts, it’s only because I’m a big kid and am very excited to write up a post using Disney as a framework. Second, and perhaps more importantly, if you’ve been reading my blog for a while and have been interacting with me via social media, you know me to be a positive persona; I’m an advocate and encourager. I feel I serve healthcare and the community at large best by being a constructive influence. The lessons I learned this New Year hold some truths which may be more challenging than my usual content. In that same vein, I want to also say that some of the lessons I learned left me with questions. I don’t nearly have the answers to them all, and, am hoping you will help me where I’ve been stumped. That said, I thank you for reading through this two part post, and, sharing with me in the lessons I’ve learned from a Disney New Year. 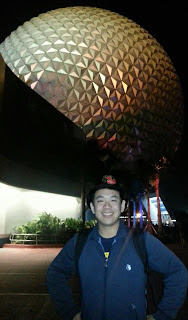 During my vacation in Orlando, Florida, I was able to spend a week on Disney World grounds inclusive of the Magic Kingdom, EPCOT, and Disney’s Hollywood Studios. I was also able to spend time at Downtown Disney as well as Disney’s Polynesian Resort. I noticed that no matter where I went, I received a more or less universal service demeanor from the Cast Members (Disney employees), and, that within the various sections/services/areas of Disney World (ie. attractions, stores, food services, environmental services, etc. ), each had a unique and unmistakable attribute between them which made for an accurate reflection of their duties and responsibilities to the guests. Throughout this vacation, I also had some very enlightening conversations with my wife, who is a former Cast Member of Disneyland. Through all these discussions and observations, I came to conclude that the Walt Disney Company holds three integral attributes in business practice which are pivotal in gaining and maintaining an advantageous market position to its competitors; these business practices are crucial for success should Physical Therapists hope to bring #solvePT to the next level (particularly in effect to #bizPT). Order qualifier: an order qualifier is an attribute (or combination of attributes) of a product/service which exists as a minimal satisfier for customers to buy into said product/service. Order loser: an order loser is an attribute (or combination of attributes) of a product/service for which if present (or at times, absent) a business would lose a potential customer. Order winner: an order winner is an attribute (or combination of attributes) of a product/service for which a customer chooses one business over a competitor. Disney business principles in action! I think this point is fairly self-explanatory. There is really only one Disney, and, no company has operated the way the Walt Disney Company has. Disney is not “just Disney”; Disney also owns the ABC Television Network and has recently acquired Lucasfilm, which of course includes Star Wars. The Walt Disney Company is a business running – business owning - business. They didn’t just stop with feature animations and products; they sought to and have successfully acquired advantageous business positions (whether it be market access or plain ownership) in all of its own best allies (ie. the long time blending of Star Wars and Disney cultures). This brings up the second half of this principle: Walt Disney himself said that Disneyland will never be finished. Disney is constantly changing, adapting, moving, and shaping itself for the future. The acquisition of Pixar is an incredible example of this. Disney is always improving itself or gathering the tools to do so. The ability to sublimely infuse the old classics with new innovations is part of what makes Disney so Disney. (2) Disney: Provides high quality products and service experiences far surpassing that of competitors with impressive levels of consistency (Order Loser, if absent). Not only does Disney management demand high quality standards, Disney’s customers also expect it – why pay top dollar if it isn’t Disney quality? Also, if a Disney product or service isn’t Disney quality, then it no longer is unique (no longer an Order Qualifier) and is no longer Disney at all. Such a product or service is then rejected by customers and pulled from the line (Order Loser) – and thus – the quality of Disney also contributes to its own uniqueness (Order Qualifier). People buy into Disney because Disney is Disney no matter where or when you experience it; all the Cast Members are trained to provide the same service per attraction/shop/land. These qualities make Disney favored among competitors; after all, if annual membership to a theme park is cheaper down the road, why not go there? Because, it’s not Disney! - Order WINNER! Great segue. (3) Disney: Gives the customer an experience which fosters nostalgia for which the customer “keeps on coming back” (Order Winner). This is perhaps the most powerful Order Winner many of us have been witness to. From childhood, generations have endeared themselves with the Disney culture in a positive emotional experience. This experience creates a social bond for with family, friends, co-workers, and strangers at the park can develop camaraderie about Disney, customer (brand) loyalty to Disney, and, on their own time share wonderful experiences at the “happiest place on earth”. In fact, nostalgia is one of Disney’s best perpetual marketing tools – love it or hate it – everyone can talk Disney (and usually have great things to say). What’s incredibly unique about the nostalgia building customer loyalty is that the Order Winning aspect of Disney builds on itself. Not only do customers choose Disney over competitors because of the memories, customers also choose Disney because of the consistent product/service quality (order loser, if absent) which is intrinsically unique (order qualifier). In essence, the experience itself and the memories created tie in the above business principles; Disney’s order winning attributes are birthed from consistent quality which is always unique, changing, and improving upon the classics. So how does all this apply to Physical Therapy? How can we utilize Disney’s embodiment of these three business principles to strengthen Physical Therapy practice and maintain a competitive advantage? To answer these questions, we must first identify the state of each principle in current Physical Therapy practice. (1) Order Qualifier: Uniqueness – Disney is unique and constantly improving. Is Physical Therapy practice unique and constantly improving? (2) Order Loser: Disney’s Quality is consistently high and consistently consistent. Does Physical Therapy practice have consistent quality? (3) Order Winner: The nostalgic Disney experience creates self-marketing customer loyalty. Does the Physical Therapist provide a service experience which creates self-marketing customer loyalty? While we think on these questions and reflect on our own experiences, I’ll leave you with two business practices which Disney lives by to create magical experiences – every single time. I’ll be posting Part 2 of “Lessons from a Disney New Year” tomorrow and I look forward to your thoughts here on this blog, or, on Twitter or Facebook. Sometimes, when it comes to health care, it's difficult with all the rules and regulations to be as service oriented. We definitely have a lot of work to do. There is definitely a population of our customers who feel that PT is nothing without passive ultrasound and 20 minutes on a hot pack - we need to rally more public awareness. Awesome Insight Ben!....It is thinking like you did, "How does PT benefit from this HUGELY successful business Model", that will Move Forward PT (to coin a phrase). Larry Benz of EIM uses the likes of GE and other highly successful business models to teach PT business owners! "The day Physical Therapy starts utilizing the work and insight of these large companies is the day we can truly start to #solvept" - MONEY statement right there! Great Insight Ben! It is the approach of, "what can we learn from this HUGELY successful company", that will truly Move PT Forward. (to coin a phrase). Larry Benz of EIM uses case studies from the likes of GE and other Successful corporations to teach PT business owners. This article gives us an opportunity to discuss and brainstorm ways to truly #solvePT. Great post as always Ben! My family spent an unforgettable week at Disney this past August. The service there is impeccable, even the bus drivers gave my daughters rings. Everyone called them little princesses. My three year old at the time said, "Are we married now?" Any business can stand to have the level of consumer service of a business like Disney!